In a small rural church nestled in the mountains of West Timor*, seven families worshiped together. In their homes and with each other outside of church, they primarily spoke their mother tongue, the language they spoke from birth, Tetun. But in church services, following the only model they knew, they used Indonesian**. Their Bibles were also in Indonesian. Because they didn’t speak or handle Indonesian very well, there was much they didn’t understand! Then came exciting news: God spoke Tetun! 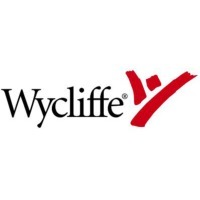 Tetun translators, working under the direction of the Evangelical Protestant Church of Timor (GMIT) and guided by Wycliffe advisor Dr. Barbara Grimes, had translated and published the New Testament plus Genesis in their language. One of the translators, Rev. Gabriel Bria, and his colleague, Ben Grimes of the Navigators (Barbara’s son), invited the church families to a seminar to learn how to conduct Bible Reading Groups. Every one of them came! Each family took home a copy of the Tetun Scriptures, with 130 Tetun hymns in the back. They found great joy in relating to God in their own language, using Scriptures that made sense to them. So they decided to begin worshipping in Tetun three Sundays a month, leaving one service a month in Indonesian, the language they shared with other GMIT congregations. In their home groups, they studied the Tetun Scriptures using the tools they’d learned at the seminar. Equipped to dig deeper into God’s Word than they ever could before, the church began to grow. Just a few weeks later, they sent Rev. Gab a message: “Seventeen new families have joined the church. Please send us seventeen copies of the new Scriptures.” And nearly two years later, that congregation is still thriving and still using the Tetun scriptures. Many other Tetun congregations in the GMIT also shifted some of their worship services to their own language. Often this was three Sundays each month in Tetun (their language of discipleship), followed by one Sunday in Indonesian (their language of fellowship). The head of the presbytery saw congregations experience real growth and transformation as they engaged with Tetun Scriptures and stopped spinning their wheels trying to make programs in Indonesian successful. He said the entire presbytery was being impacted by the Tetun Scriptures. Interest in the Tetun Scriptures also spread across denominational boundaries. A Catholic priest became one of their best distributers of the Scriptures! He sold book after book after book, repeatedly asking for more boxes, selling those, and asking for more. 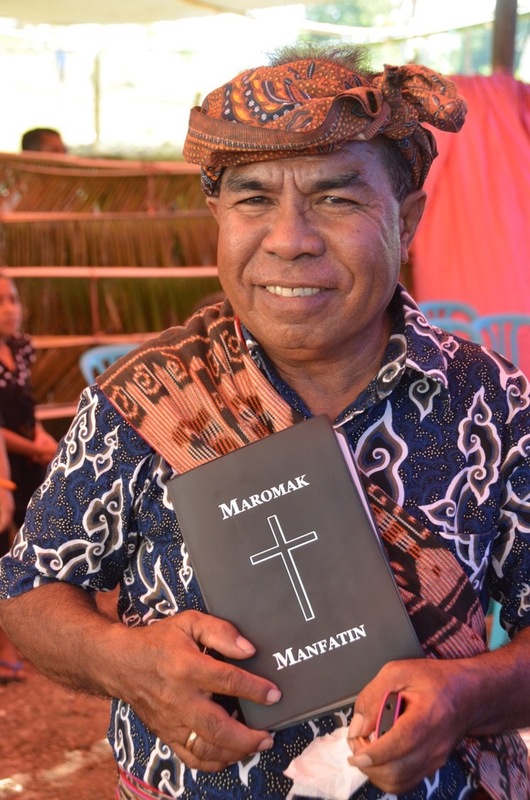 Both priests and pastors in the region have said that introducing the Tetun language and Scriptures into their worship services has brought meaningful change and spiritual growth they hadn’t seen before. Now the Tetun Bible is penetrating their hearts, and their faith is waking up. With the Scriptures in their language and training in using them, the Tetun speakers have the resources they need to grow in their own relationship to God and to help others find God as well. And it’s all because God speaks Tetun! *West Timor is a political region that comprises the western half of Timor Island, north of Australia. It is part of Indonesia. **Indonesian is the national language of Indonesia. Having prayed for the Tetun people from the “seed catalogue” some 20+ years ago, this was an especial rewarding story! Praise God for his wonderfull work. Peace and Joy from Bandung Indonesia.